This time, Google had no excuses. It would be foolish to think that El Goog is not aware what the Android consumers want - after all, one of the largest tech companies in the world does not only own the most popular search engine out there, it's also the fundamental creative force in play behind the Android operating system itself. That's the reason most of us have high expectations by default when it comes to Google's software and hardware products. Usually, the company delivers, but Google's yet another new messaging app, Allo, left an unpalatable bitter taste in our mouths. Let us sum up everything you need to know about Allo in less than 60 words: it's a run-of-the-mill messaging app with no SMS support, no web client, and no message backup that allows you to chat with a Google Assistant bot because few of your pals or next of kin will find enough reasons to switch to Allo from iMessage, Viber, WhatsApp, Facebook Messenger, Telegram, Textra, or you name it. You might feel we go a bit harsh on Allo, but let us show you how it stacks up against a messaging app done right - iMessage. We will compare both in a slew of categories and pinpoint a "winner" in each of those. Inspecting the table right above clearly reveals that while Allo and iMessage are mostly similar when it comes to minor features, Google's latest messaging app falls short when it comes to iMessage's major functionalities - the built-in SMS support, the iCloud message backup, and the end-to-end encryption that is enabled by default. There's no way around that - these are two major strengths that simply can't be overlooked — they make iMessage feel like a 'complete' app, while Google Allo feels incomplete and illogical. "... Give it time, it will become better with future updates!" Yeah, sure, that's what an overly-devoted person would say, but such a statement is definitely a poor reason to give any product or device a try. Google might update Allo with all the features we have ever wanted and hope to make sure the app is successful in the long run, but this is not how things work on the zippy and dynamic mobile market — if you don't capture users' attention from the get-go and give them what they have been craving for, it's generally quite unlikely that they will be willing to give your app or product a second chance in the future. You either deliver from the beginning... or don't deliver at all. iMessage comes preloaded with every iPhone, iPod Touch, iPad, or Mac, making each and every iOS/macOS a potential iMessage one. That's a huge plus because it means once you get an Apple-made device you're already a potential iMessage user, with no downloading of apps required. Given that there are over a billion active iOS devices, it's certain that iMessage has a rather vast userbase. In fact, back in February 2016, Eddy Cue revealed that some 200,000 iMessage texts were being processed by Apple's servers every second. That's a not-too-shabby number, and while it most likely does not make iMessage the largest messaging platform, it's definitely up there in the Top 5, alongside WhatsApp, Viber, and Facebook Messenger. Allo, on the other hand, will have a hard time finding its place under the sun. Let us elaborate. We are certain most of you already have a couple of messaging apps installed on your Android device and one of these is your go-to app. Most of your friends and acquaintances are also using it and you're comfortable with the functionalities said app offers. What would you want to switch to Allo, then? It comes with no ground-breaking features and doesn't actually offer anything different than any of Google's other messaging apps or major third-party offerings like WhatsApp, Facebook Messenger, and Viber for that matter. Allo simply adds more confusion and fragmentation for Android users, and this is definitely not something they want. Google should have known better - in its current feature-poor state, Allo will likely attract a significant number of users that will be willing to give it a try, but their number will most certainly wane as time unfolds. At the moment, there's zero incentive for the Regular Joe and Plain Jane to go through the hassle of downloading and investing their precious time in yet another messaging service. By default, all iMessage chats are end-to-end encrypted; depending on the type of user you are, this is either a nice extra feature or a crucial characteristic. Regardless if you're texting pecan pie recipes or sharing sensitive data that shady figures would definitely buy for millions on the deep web, a little security never hurt anybody. We are not saying Allo is not secure, but the fact that you explicitly need to start an incognito chat to benefit of end-to-end encryption raises a giant red flag. Shouldn't this feature be enabled by default, especially in a post-Snowden era? Call us paranoid if you must, but we believe it should be. For privacy's sake. By default, iOS users are given 5GB of iCloud storage that will be used to backup their data, like purchase history for music, movies, TV shows, apps, and books, photos and videos, system-wide device settings, app data, health data, and... iMessage, text (SMS), and MMS messages. You might only lose those audio messages, but flicking a specific toggle in Messages' preferences will let you store these forever. How does Allo emulate this? Well, it doesn't - even if you've linked your Google account with Allo, none of your chats are being synced with your Google account except for your chats with the Google Assistant bot, because these are so important. 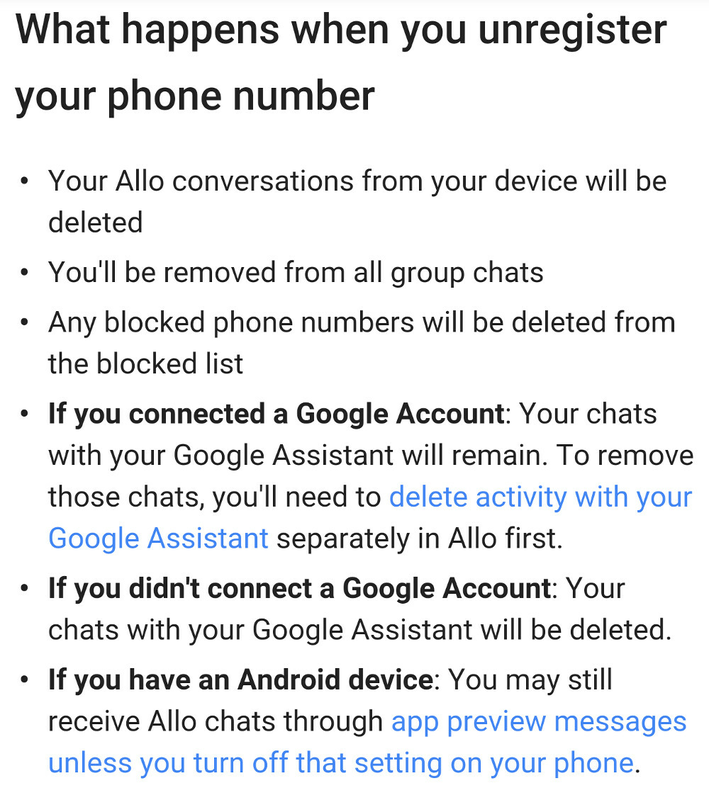 Moreover, if you're using Allo on device A and try to use it on device B, all of your chats on device A will be deleted. We are not certain what's going through the heads of the top honchos at Google, but emulating the unbeatable functionality that iMessage offers with four separate apps is illogical, counter-intuitive, and... well, it's stupid. Switching between Allo, Duo, Hangouts, and Google Messenger to make use of features that have been forcefully fragmented is terrible for the overall user experience when you realize that Google could have made an app unifying all the features in one package. To be honest, iMessage has certain issues, too - it's interface could only benefit from a few design touchups here and there, and the recently introduced drawing and interactive sticker support feel a bit childish and immature, not to mention that they tend to get old quickly. However, iMessage in its current state is miles ahead of Allo in almost every aspect out there. For all it's worth, Allo feels like a DOA app that serves no other purpose except for showcasing Google's Assitant bot. The latter, by the way, is intriguing and fun for the 10 minutes you're going to use it. Idiotic comparison... It should better be analyzed that can Allo replace Whatsapp? Oh, wait. Did iMessage all of a sudden support another platform? If you communicate with the rest of the world and other 80% of the mobile devices, which are Android. Then iMessage is not even an option. So iMessage fails if you do not have Apple and iOS. Regardless, Allo is another failed messaging service, CURRENTLY. People are up in arms and pissed at Google and hate Allo already, but they forget one thing - IT. JUST. CAME. OUT. There are sure to be improvements over time. Please tell me who is pissed at google? In fairness it's taken a few iterations for imessage to get where it is today. Can you compare a list of what imessage could do when it first came out? and what purpose that comparison serve ? People chose the products based on what it can do now and not what it used to 5 years ago. His point being that the first iteration of any product is hardly gonna 'win' against a product that's been evolving for years. Yes, the result is clear, but the comparison article is s**te. Might as well take up front page news with an article comparing Android 1.0 against iOS10 to see who the winner is. the point is for consumers and readers to know if its worth their time yet. Of course it won't be as good as an established messaging service like iMessage, but it serves to let consumers know how good it is now. iMessage can run only in Apple products Allo can run on more than 90% smartphones on the planet. Only real question is can Google convince people to use Allo instead of whatsapp.....? This article makes no sense Google not trying to kill iMessage. They are trying to build a experience like iMessage and Im pretty sure with updates and can reach the iMessage status, but on Google Android OS. Agreed, pointless article is pointless. and how does what Google would do in future with updates, makes any sense ? Let's live in present. All this app does now is invade users privacy without having its own USP. The only reason it its getting so much recognition is because its from big G otherwise there are thousands of app like these in playstore. No. Allo is meant to improve the Google Now AI assistant with user data. But it violates privacy too. Allo isn't meant to be a true messaging app, but to enrich Google's database, making it more valuable and useful for it's Ads clients. Remember that Google is mostly an Ad company. Someone gets it. Google wants information. This is there way to get it human interaction through messaging. Wow Trojan horse, I didnt know you were capable of any logic. Great post!!! 5 years VS less than a year. Why iPhoneArena? And look at the 4-0 score in the article, as if it's a soccer game. PA's off the charts. Wow, you mean like you do in every article about an Apple feature "copying from Android"? I already have an SMS app if I want to send a text message to someone, and it gets used once every few years. Also iMessage doesn't work on 85% of smartphones(android), so that's end of discussion. If Apple was smart, they would finally make iMessage cross-platform. I know they are afraid of what that would mean for iPhone sales, as that's one of the reasons people choose to buy an iPhone. However, if they gave basic features to Android while keeping the more "premium" features for their own OS it would be a win-win scenario. Just give Android the basic iMessage setup while allowing those with iOS to have the more complete experience. I would literally pay a monthly fee to use iMessage on Android. That's how valuable the iMessage experience is to me personally. Hell, why not offer a freebie version on Android with ads and the option for a premium full-function subscription? I'm not sure if this would be a financially lucrative decision for Apple, but I would pay in a heartbeat to have an official SMS/iMessage app. Then again, iMessage is one of the key features that iOS users hold so dearly. There are actually some very good articles on "blue vs green" chat bubbles - the psychology behind it, stats, etc. Unless Apple can find substancial financial value in releasing it cross-platform, there's no point in expecting them to even consider it. Facebook has really invested wisely into Messenger. I've watched iMessage morph trying to follow the pot o' gold that is Messenger. Honestly, Apple actually went a little overboard with the iOS 10 upgrade. My only beef (and it continually blows my mind that it is *still* an issue) is the massive privacy intrusion that is the "Last Seen"/read receipt function. Even if you have Messenger disabled, anytime one does anything on Facebook (app, mobile web, desktop), it shows up in your chat as Active or how long it's been since you've had any sort of movement. It's almost as if Facebook intentionally does this. Would love to hear the company's reasoning behind it. The inability to turn off Read Receipts would be a non-issue if people could not see when you were last active. You could simply not open the message or read it through the notification bar and open/respond at your leisure. The "Active" on/off toggle button in the app is 100% pointless. Leaving it on or off changes nothing. People can still look at your "movement" whenever they please. This is a common source of drama/stress I hear from people all the time. "I texted her six hours ago and she was active an hour ago and still hasn't responded", etc. Sure, mature adults understand that people cannot always respond to messages immediately - nor should they be expected to. But it still creates unnecessary chaos with many. This issue is a hot complaint I am always hearing about both in person and online, and Facebook is unwilling to acknowledge it. There have even been petitions on this subject. Not to mention countless editorials about the potential dangers of not having an opt-out. The "Last Seen" function can be glitchy and even incorrect at times. A good example I read was if someone such as a judge or jury member was shown as Active during a trial when he is not? What if the jury is barred from social media use, but one uses Messenger as their form of texting? This could potentially cause a mistrial due to a jury member being "Active on Facebook". Extreme example? Sure? Impossible? No. Facebook does not seem to give a ****. I've never encountered any other messaging service that does not allow users to opt-out of this feature. It's baffling to me. Apple shouldn't offer Messages to Android. They should make Messages more open from within the iOS. And this is what they do with iOS 10.